This comprehensive equine laminitis eBook will enable you to discover the vital information you need to know to help your horse on the road to recovery. This is THE reference book for all horse owners who are struggling to help their horses to recover from the devastating effects of laminitis and founder. Now also available as a printed book. With fourteen chapters presented in a logical order - plus full color photos and detailed high quality full color diagrams - this is the most professionally presented eBook available. We want you to feel completely confident and safe when ordering this eBook, so if for any reason you decide it does not live up to your expectations, just let us know using the contact form and we will refund your money in full, no questions asked. If you are still not sure if this book is right for you, you can now download a free sample. The sample contains pages from the book so that you can see if you like it before you commit to buying the full version. Click here to download the FREE sample now. The Equine Laminitis eBook costs just $17.99 and is available as an instant download, so will be available for immediate use. Adobe Reader software is required to view the ebook. If you do not have this software on your computer, click here to download Adobe Reader for FREE. If you prefer a printed version of the book it is now available for $24.00 including shipping. If you think this eBook would be of benefit to your clients click here to find out about our Affiliates program. 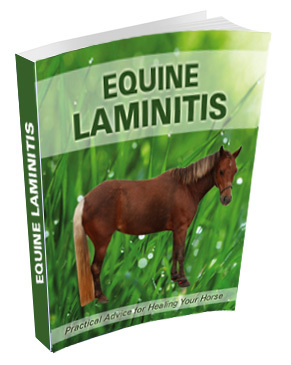 Finally a source for good information on identifying and managing laminitis! Jenny has done an excellent job compiling the best information on laminitis. This is the same information that has helped me help hundreds of horses, so I know it works. I now have an easy to understand, trustworthy source of information for my clients. I will ask them all to buy your book, especially the ones who are dealing with possible Cushing's or Insulin Resistant horses. You have given us the information in a format that makes for understanding the disease, and the tools needed for the care and hopefully, prevention of laminitis. I feel much more confident having this information. Thank you so much Jenny, I appreciate all your hard work ! 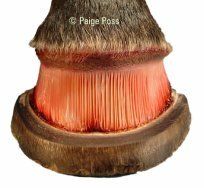 Equine Laminitis is a well-thought-out, orderly presentation of methods used successfully by internationally-known hoof care and veterinary professionals, in the treatment and prevention of laminitis. 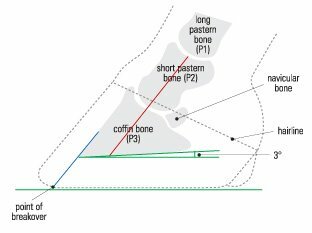 Jenny explains, in an easy-to-read fashion, tried and true methods of treating acute cases of laminitis, needing help right now. She goes on to identify, and clearly explain management of chronic laminitis. But more than that, she details sound, valuable management techniques needed to keep our horses safe from laminitic episodes in the first place. The valuable, step-by-step advice given here is made even more understandable by the accompaniment of colourful, detailed illustrations and pictures. Jenny's attention to detail, is in language which easily guides the reader to the best approach to address the situation at hand, be it acute laminitis, chronic laminitis, or the desire to avoid both. I just downloaded your e-book on laminitis and want to congratulate you for presenting the facts and solutions clearly enough for owners to understand. You are doing a great service for all horses - a form of payback for all their years of service. What I really wanted to gush about is that you've written this for owners so they can make the right choices. I only wish I'd had this eight years ago.... heck, I had to become the help I was looking for when my horse foundered and, by the time I became that person, the damage had become irreversible. EVERYTHING you suggest actually works = spot on! I'm going to publicize this to my hoofmail list and ask them to keep the link to share with their friends when they hear of horses who are in trouble! It's a MUST READ for every horse owner, and you can quote me!